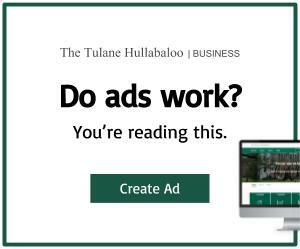 On Thursday, Nov. 15, The Hullabaloo discovered that two of three new police officers hired by Tulane University Police Department had posted content to their personal social media pages that contradicted Tulane’s equity policies. One of the officers, Ethan Hutton, had several posts on his Facebook page regarding his U.S. Army tour in Afghanistan — one post in which he referred to the country as “Asscrackistan.” Additionally, he made jokes referring to the Holocaust, and another post contained a homophobic slur. The second officer, Derrick Tomberlin, shared a post with an image saying, “Only 90’s kids will remember this.” Behind the text, a form contained a question asking, “Are you male or female?” which only had two answer choices — male or female. Following reports of the incident, TUPD placed the two officers on administrative leave until an investigation could be complete. Later the same day, Hutton resigned from the police department. Tomberlin later returned to the force after completing Anti-Bias Training for Law Enforcement and Cultural Diversity Training for Law Enforcement. Though TUPD acted quickly in placing the officers on leave based on its initial findings, some members of the Tulane community are wondering why the department originally hired them. According to Chief of Police Kirk Bouyelas, TUPD considers several different factors when hiring applicants and particularly looks for those who are committed to serving everyone equally. “When evaluating potential new officers, we try to identify individuals who have the highest integrity and character — individuals who are intent on being good police officers and delivering quality service and protection to every member of the Tulane community,” Bouyelas said. After applying for a position with TUPD, applicants must complete a series of interviews conducted by TUPD personnel and a representative from human resources. TUPD then administers a set of screenings, including a background check, substance abuse screening and psychological evaluation. 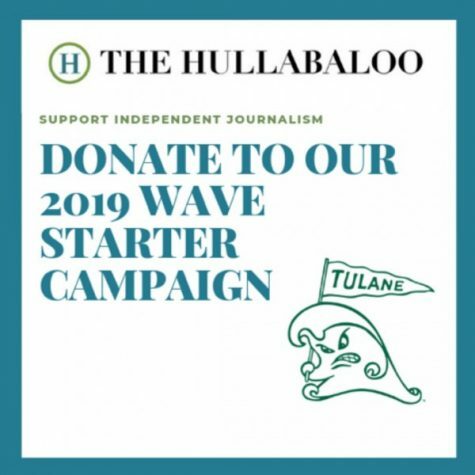 Though the department does screen applicants’ social media, Hutton and Tomberlin’s posts violated the policies set by Tulane. Bouyelas says TUPD regrets the incident and is taking steps to ensure it will not happen again. “We have reissued and reiterated the policy regarding social media and are working to ensure that our screening process leads us to candidates who are the right fit for our community and will uphold our values,” Bouyelas said. The updated policy will have to be signed by all of TUPD personnel to ensure that they have reviewed it and agree to follow it. Additionally, all TUPD personnel will be required to review a training video about the social media standards for officers. TUPD will also work with the Office of Gender and Sexual Diversity to train officers on issues relating to bias and cultural awareness. According to Bouyelas, Lisa Currie, the interim associate director of the Office of Gender and Sexual Diversity, will conduct a training on gender and sexual diversity issues with TUPD personnel. If Currie is unable to do so, TUPD will use PoliceOne’s online training course that will educate officers on protecting the LGBTQ+ community while also improving consciousness for officers. Currie said she is excited to collaborate with TUPD after they establish definite plans. New hires will also be required to meet with a LGBTQ+ liaison for the police department, as well as TUPD’s Community Policing Lieutenant, who will go over the impact of social media. Going forward, Bouyelas said, TUPD will make sure a thorough social media review is performed for potential new hires to make sure any “suspicious posts” are highlighted during the hiring process. Some student leaders are also willing to aid TUPD in inclusion training. Joanitah Nakiggwe, the USG Diversity, Inclusion and Equity Committee chair, says the committee is working on creating a strong network between TUPD and students. Though TUPD is working to amend its policies regarding cultural awareness among its officers, many students feel there is still work to be done. “Whether it’s TUPD accusing us of smoking weed and kicking us out of buildings or not being responsive after a student of color was the victim of a hate crime, their policies reflect a wider indifference toward marginalized folks on campus,” Stewart said. The Hullabaloo will continue to report on the story as it develops. As a student who found out about the 9/11 attacks at a poster sale in the University Center when they rolled out a tv tuned to CNN where we all had the experience of watching the twin towers collapse over and over again it occurs to me that officer Hutton after 2 tours in Afghanistan is entitled to call that country whatever he wishes and to post whatever pleases him to his social media accounts. I mean to say if putting life and limb at risk in service to your country doesn’t buy you a rather large social credit line in the civilian world, then what does? TUPD and the University should beg the man to come back and tell him they are sorry and they didn’t mean it. I understand that things tend to change over the course of a decade or so since I was last a student there, but what I am seeing in this article is like something out of the twilight zone. This sort of behavior was a running joke in the late 90s when the movie PCU came out. We laughed because in a free society such behavior was obviously ludicrous. But here it is, bold as brass and being promoted with pride and a straight face. What has happened to us? As a fellow service member and veteran, as well as Leo. I agree with what officer Hutton posted on his Personal social Media account. I reached out to him to get his side of the story as the hullabaloo obviously never even bothered to get his side of the story. Nope, just post a damning news article, ruin an officer’s job and call it a day. People sure are quick to point out other people’s flaws without understanding the reasoning behind them. Take into account his recitation of his tour. The entire deployment his only job was to drive real slow down a long road looking for roadside bombs. Think about that, his Entire job for a YEAR was to hunt down the one object that is the number one killer of coalition troops in Afghanistan. Think you can come back into the civilian life with no change after that? I can tell you from personal experience that no you cant. War changes you. Makes you stronger or weaker. He went through a rough time and made it through. Props to him. As to his other posts, posts made 4 years BEFORE he even became a cop? Don’t people complain when others judge them based on previous history? How is this any different? None of you even met the dude and you demonize him as a homophobe. Did you know he has 2 gay friends and 1 bisexual? No, you didn’t because you believed a student run newspaper instead of meeting the guy and asking questions. That’s what’s wrong with society now. You believe articles that only show one side of the story, did the hullabaloo even try to reach out to officer Hutton? My guess is no they didn’t. You ruined this officer’s job. Before you ruin another, dig deeper, get facts, and educate yourself before judging others. I agree with both of you on some of the issues and find it complexing why this matter was not resolved differently. Ethan Hutton and Derrick Tomberlin both gained employment with Tulane University’s Police Department after serious issues surfaced on April 6, 2018, via different media outlets. I took noticed and wanted to see if President Fitts and those who are in charge were able to correct the problem, a portion of the situation was resolved. Chief Bouyelas’ handling of Hutton and Tomberlin’s situation was done in a progressive manner, reflecting current social trend in which we live in. Thus showing LGBTQ+ community that Tulane University Police Department is fair and impartial. I know it appears these two were demonized. What makes the matter more concerning to me is the noticeable inconsistency in which Tulane University is going to address the conduct of these two police officers, but somehow ignore the behavior of Officer Tamara Grant? If you recall, prior to her being hired by Tulane, she was employed by the New Orleans Police Department. While on duty Officer Grant committed a series of grievous actions which were criminal, and lied to cover it up. This was reported on the news. The media also pointed out while employed with TUPD, Officer Grant had lied durning an internal investigation. There are obvious inconsistencies in the way Tulane University’s Human Resources and Tulane University Police Department disciplines their police officers. I have yet to see Tulane Hullabaloo or any other media outlet mention this. A larger problem obviously exists, but until the smaller ones are addressed this will not change. It will just remain dormant and festering, waiting to explode when it comes to the surface.